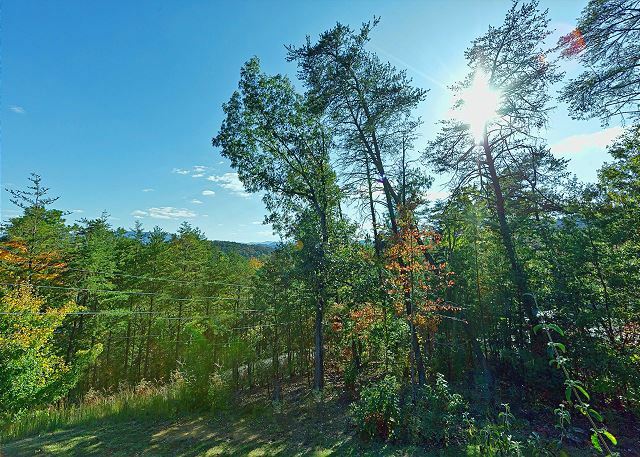 Location: Hidden Mountain West (4-5 miles from Pigeon Forge) off Walden's Creek Rd. 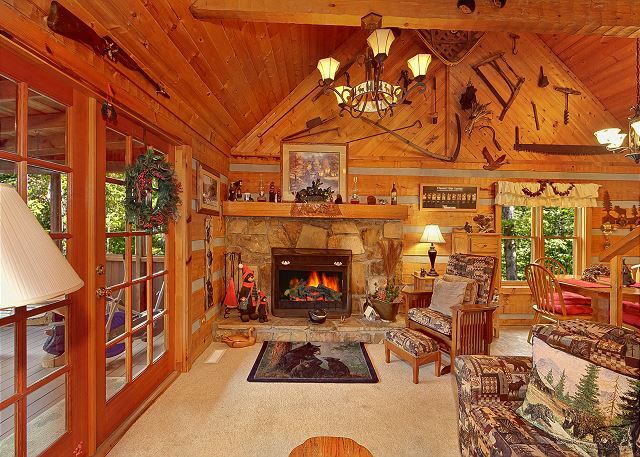 Charming rustic, private Log cabin in the Smokies, near Pigeon Forge! 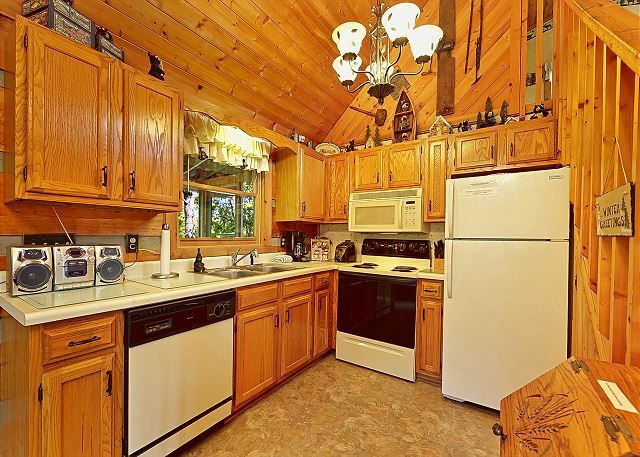 Your loved one will love this romantic cabin in Hidden Mountain/Pigeon Forge area. 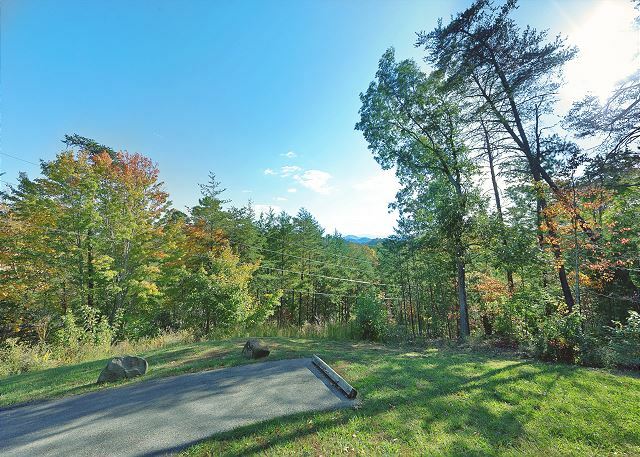 Did you know it has an outdoor fire pit for that camp out feel and romantic times together? 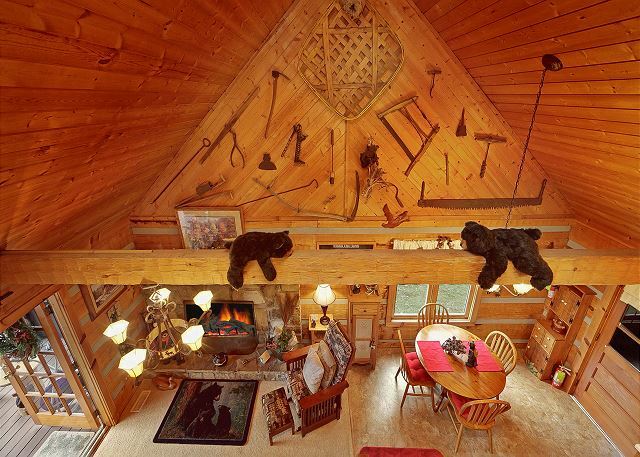 You can enjoy shooting pool upstairs in your loft At Wild Turkey also. 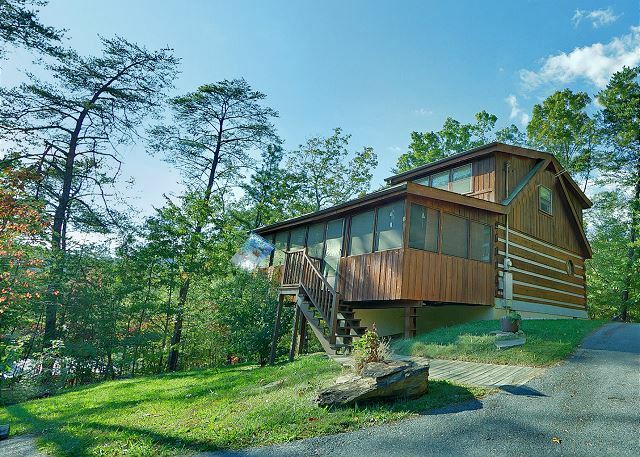 The loft is perfect for guests as it has a trundle bed, full bathroom, laundry facilities, TV, nice views, & pub table for lunch/drinks. 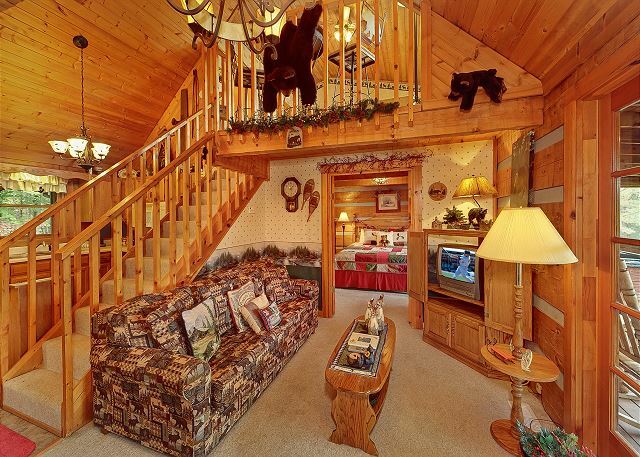 Your living room has premium furniture, TV/DVD combo, & gas fireplace for your convenience. 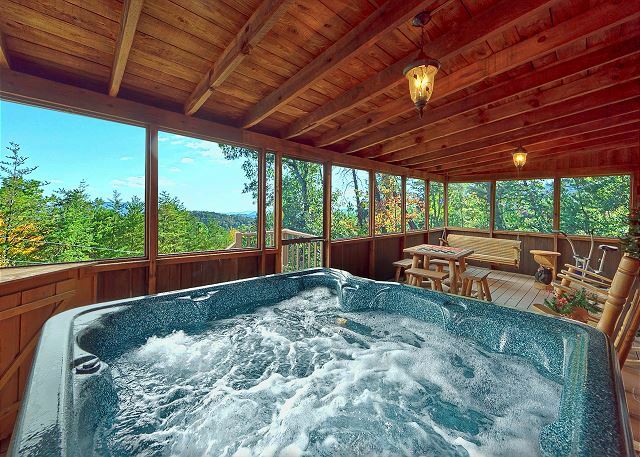 The large master bedroom has King Bed, jacuzzi tub, & television. 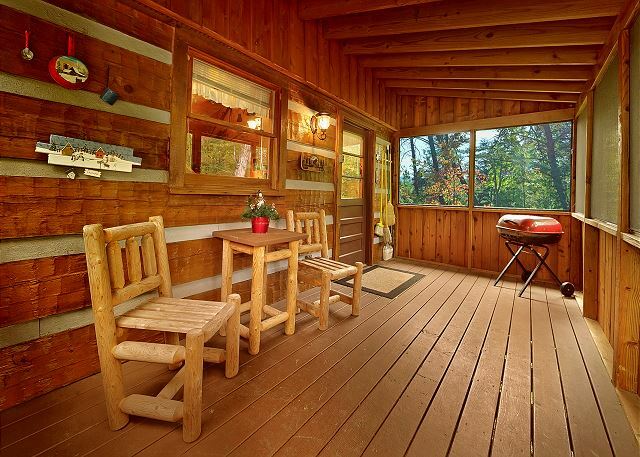 The screened-in patio will allow for restful afternoons or comfortable evenings. 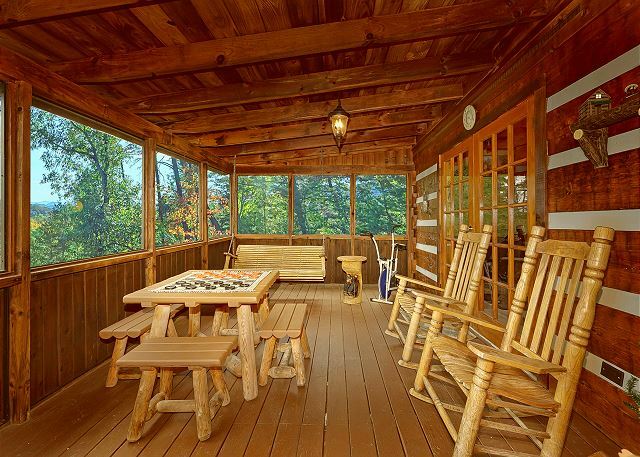 This patio has a porch swing to enjoy romantic whispers and conversation, rocking chairs, checker table, & large inviting premium hot tub. 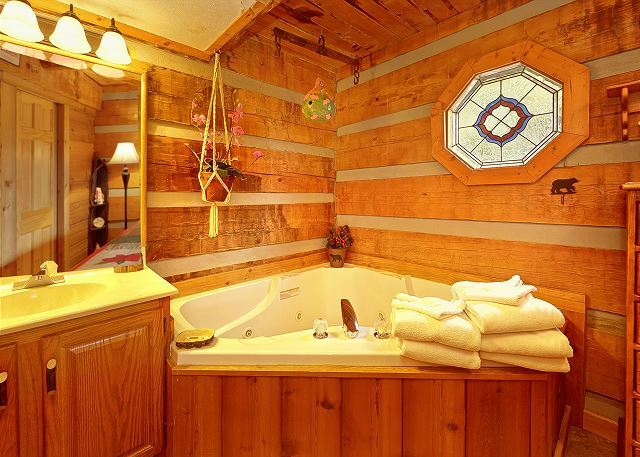 If you are looking for a private, romantic log cabin in the mountains, you could not ask for a more pleasureable vacation rental near Pigeon Forge. 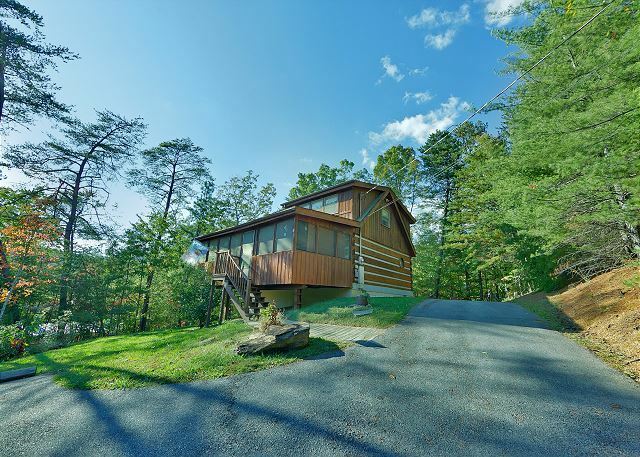 At Wild Turkey cabin has two screened in patios, pool table gameroom, outdoor firepit, mountain views, privacy, & so much ultimate vacation spot! 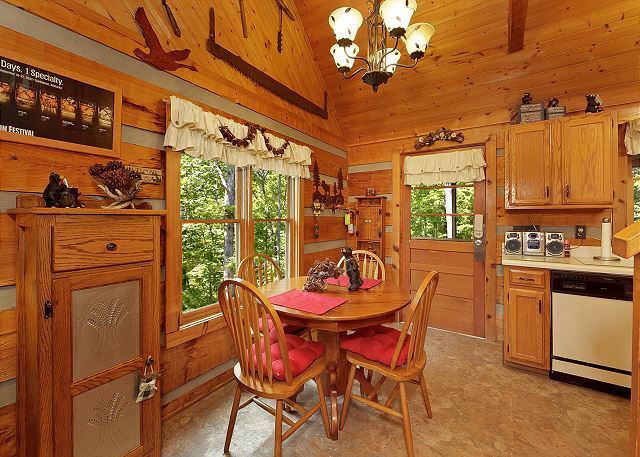 Reserve this 1BR Pigeon Forge log cabin today. 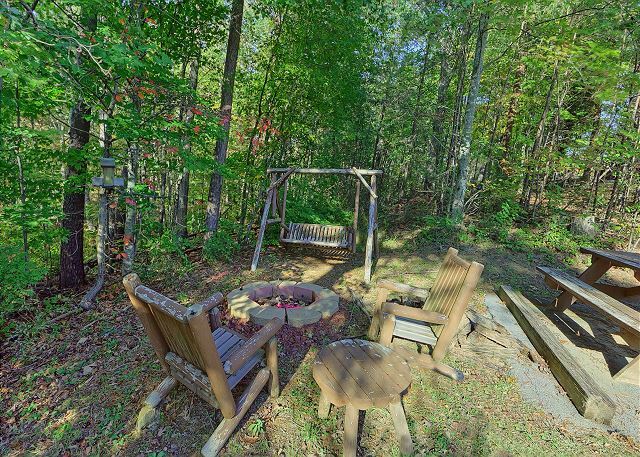 There is a picnic table & log furniture outside so you can relax & take in the great outdoors. Price is for 2. 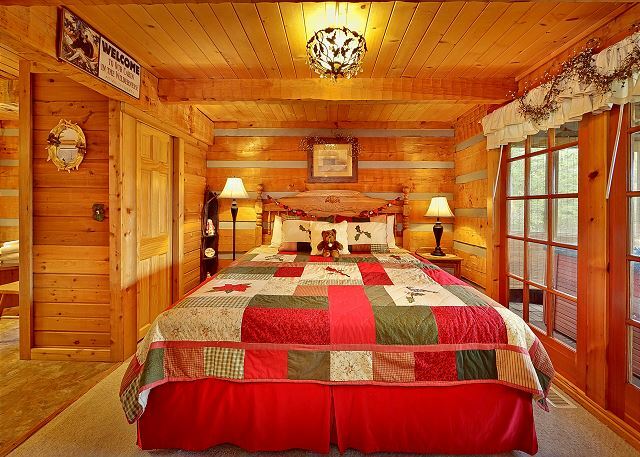 Additional guests just $12.50 nightly. Pets accepted with $75 registration.